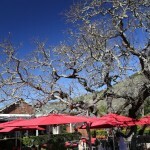 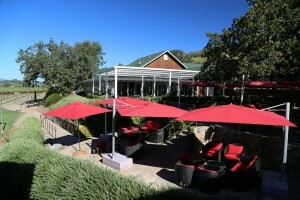 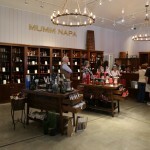 Mumm Napa is a wonderful winery well worth visiting. 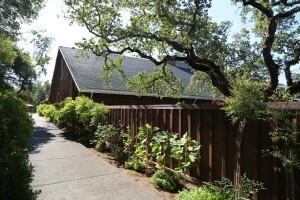 It sits on the west side of the Silverado Trail about 2 miles north of the Oakville Cross Road. 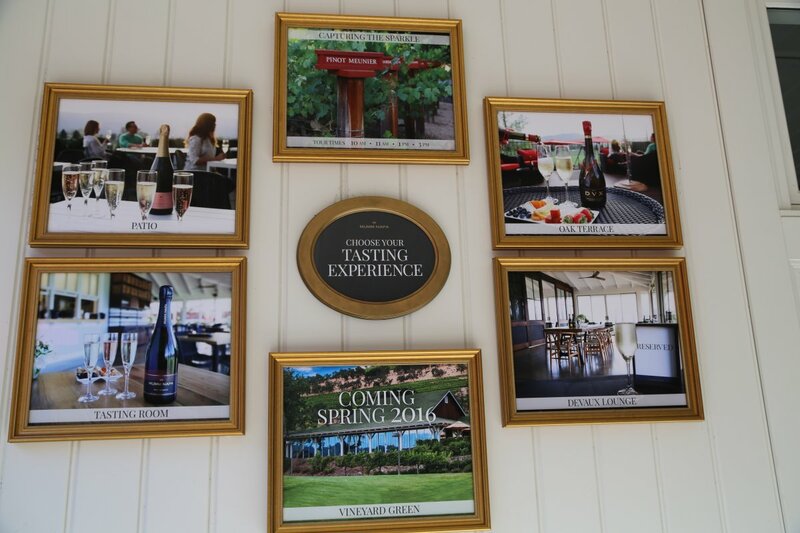 Visually Mumm also displays the first signs of the upcoming harvest in the Napa Valley. 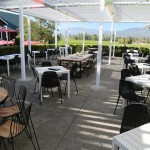 If you happen to be here in mid summer look for their trademark plastic yellow bins stacked up outside the winery. 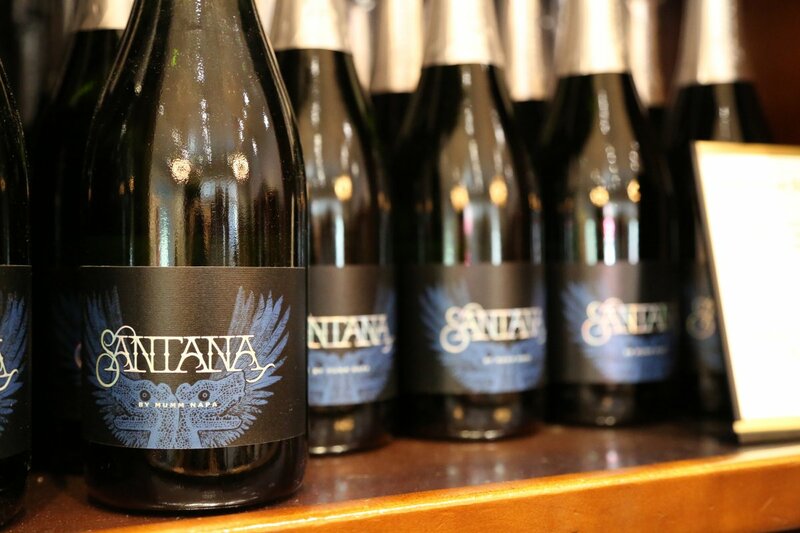 As with other sparkling producers in the valley, their harvest always starts early compared to the still wine producers – in 2015 their harvest started on July 22nd – this is among the earliest ever harvest in recent memory in the Napa Valley. 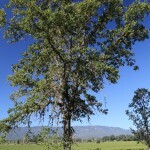 The original G.H. 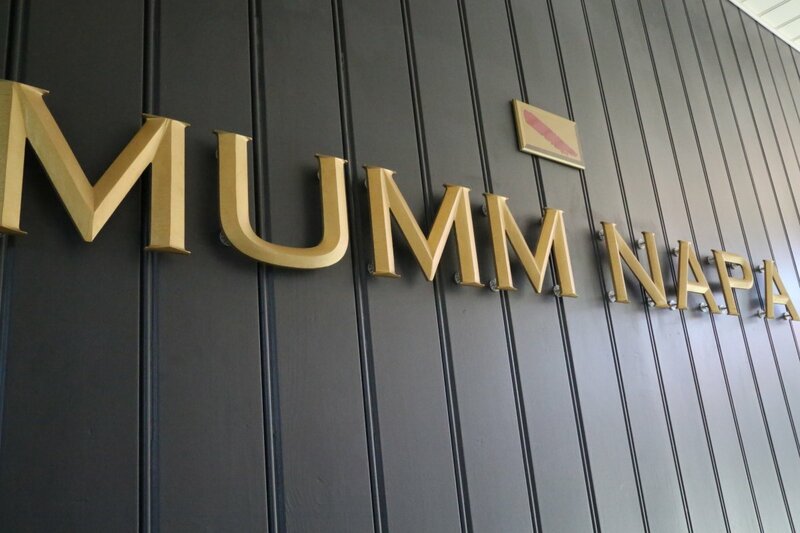 Mumm & Co. was established in 1827 in Rheims France, carrying the last name of one of the co-founders, Philipp Mumm. 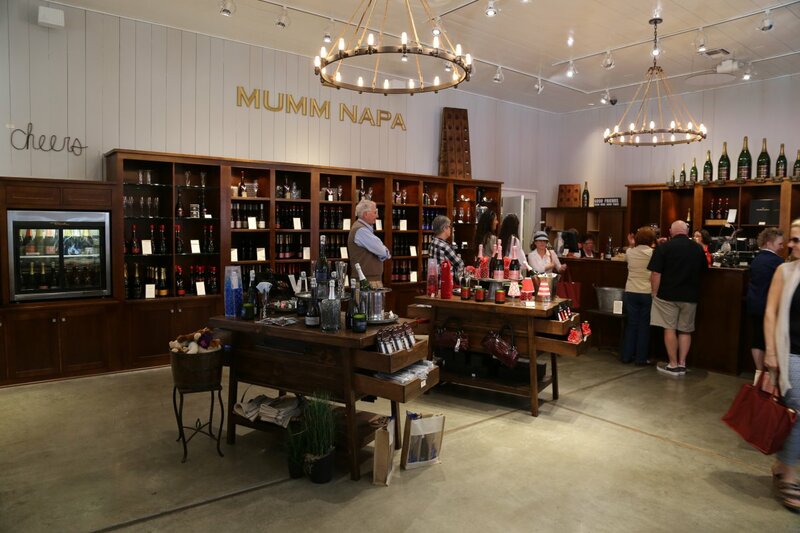 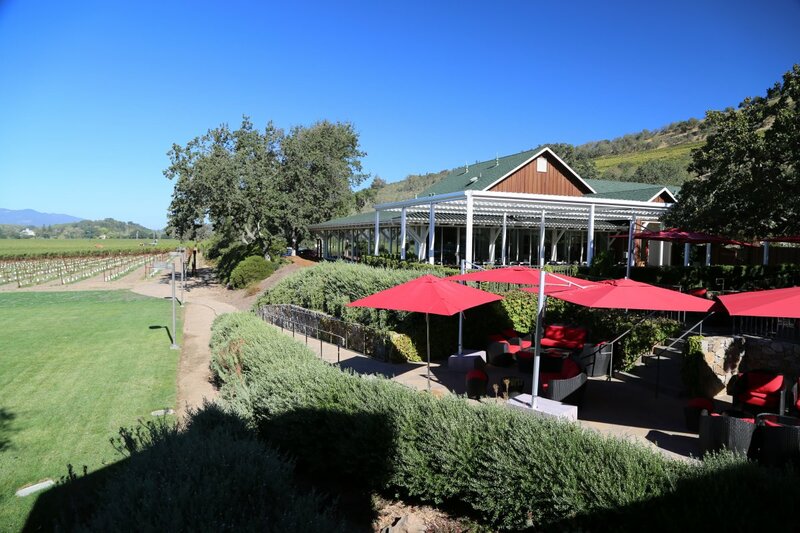 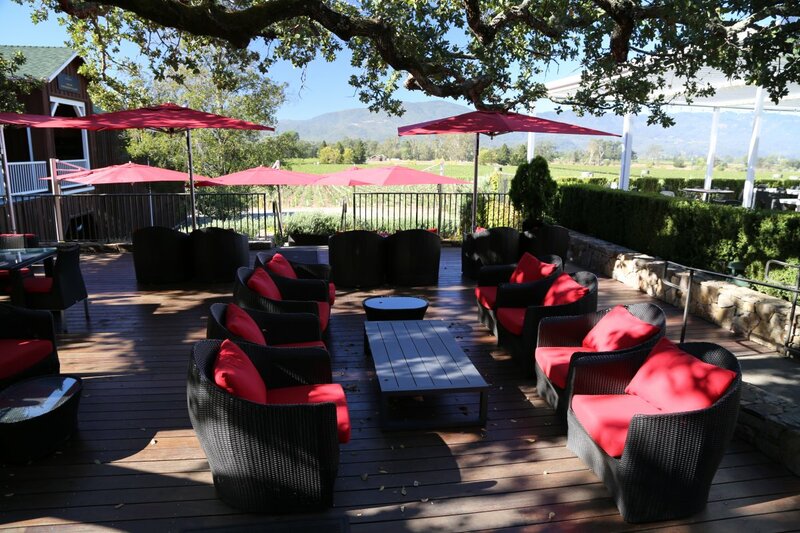 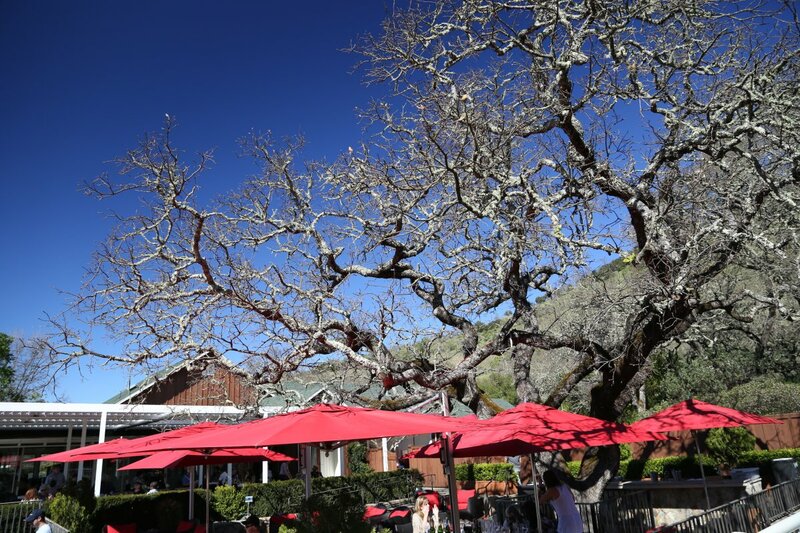 Nearly 160 years later, Mumm Napa Valley was established with the construction of the winery in 1986 (two stories of the winery were actually built below ground level against the hillsides of the Vaca mountains the come down into the Rutherford appellation. 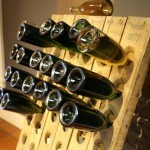 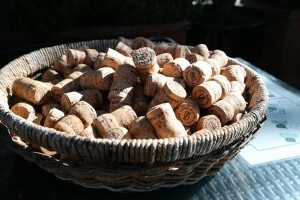 Their specialty is sparkling wines with names like Blancs, Bruts, and Cuvee’s. 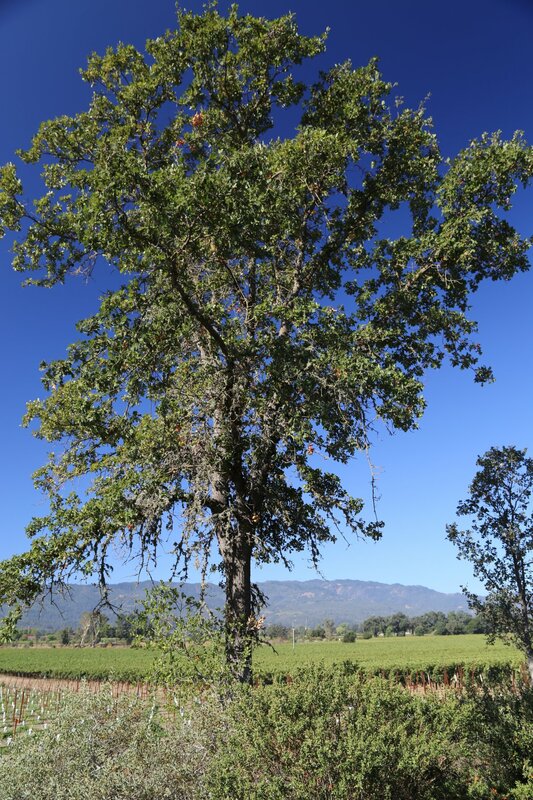 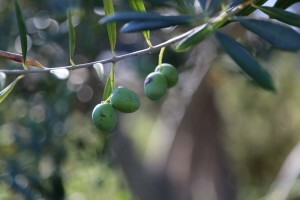 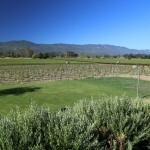 Some years they are among the earliest harvesters of grapes in the Napa Valley. 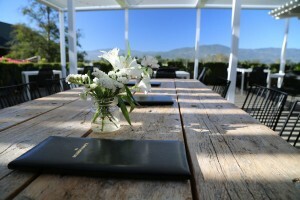 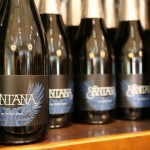 This is one of only a select few wineries in the Napa Valley specializing in sparkling wines. 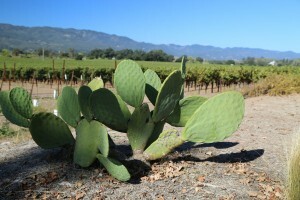 However note they are located in Rutherfor which is not an ideal climate for growing Pinot Noir, Pinot Meunier and Chardonnay for making sparkling wines. As a result, their grapes come from the cooler southern San Pablo Bay influenced climate of Carneros. 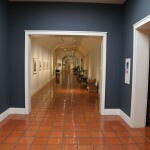 Forty five minute tours are given each day starting at 10am, 11am, 1pm & 3pm. 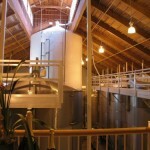 This is an excellent “production behind the scenes tour” in which you learn about sparkling wine making techniques and get to see the machinery in action especially in parts of August and early September during crush. 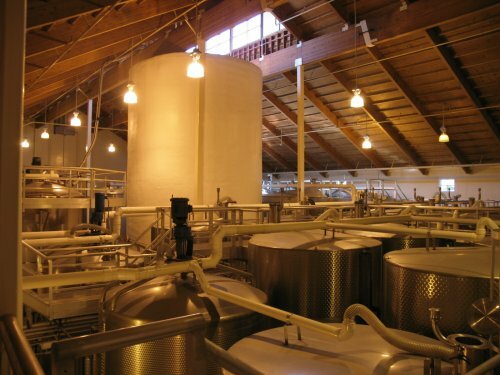 Meet Big Al, their large blending tank towering above all their other tanks and also BOB, their amazing robot which handles 36 bottles at one time with its suction cup “fingers”. 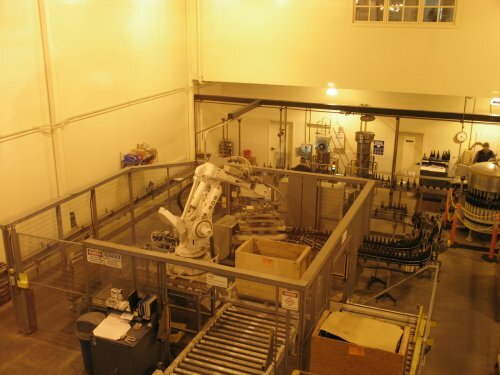 BOB consistently wins employee of the month and our human tour guide was quite bummed and up front about this! 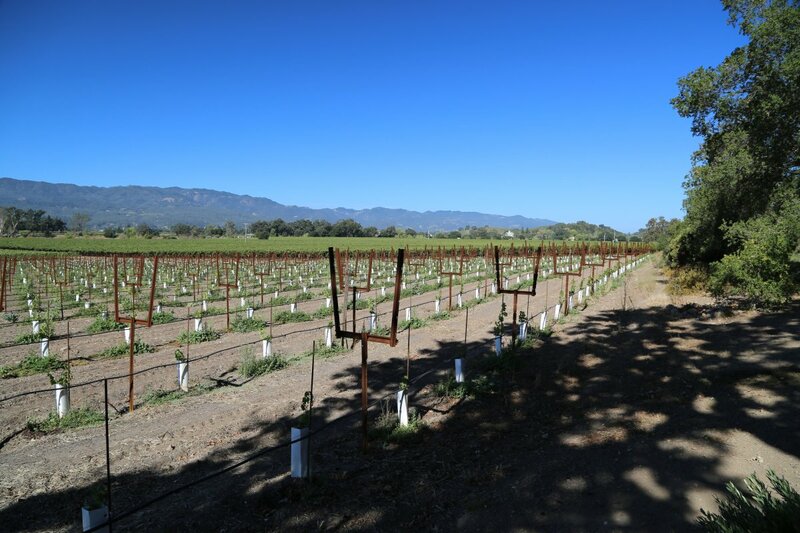 As you begin you tour, you will be introduced to trellising on several rows of vines that mimics how vines are trellised in the Champagne region in France – which is very low to the ground. 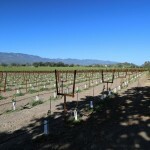 You never see these types of vines planted commercially in the Napa Valley! 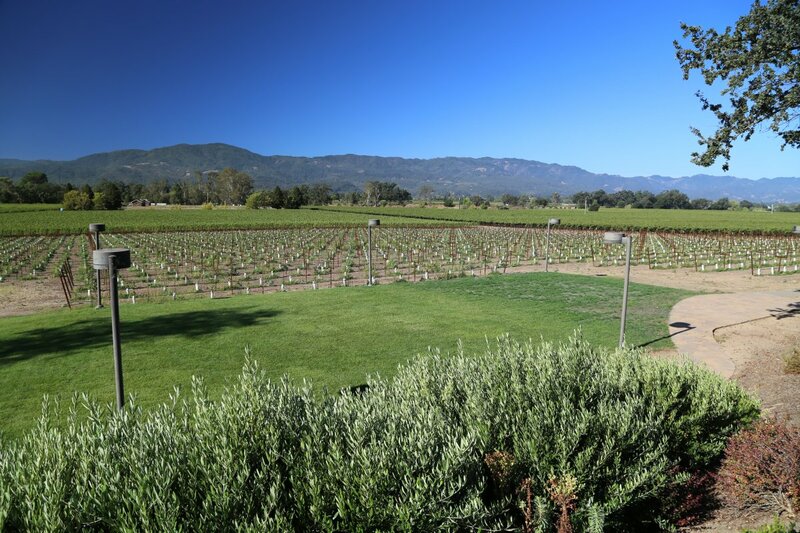 The main reason for this low type of trellising is Champagne has a very cool growing climate and the vines are trained low to the ground to maximize the soil heat. 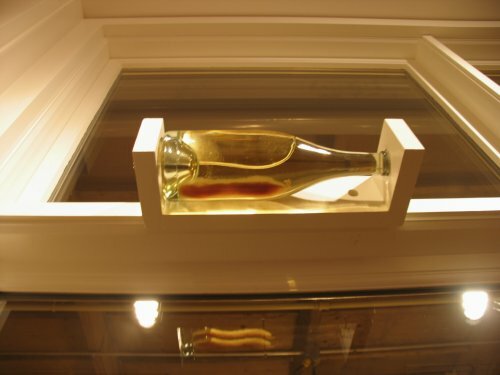 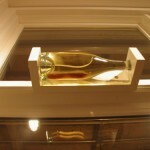 Sparkling wine needs to be turned or “riddled” to move the dead yeast down to the end of the bottle where it can be eventually removed. 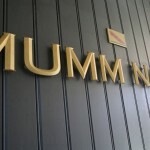 Mumm has automated this entire process and their “riddling” room is quite a sight to see, especially if you are lucky enough to see the machines in action. 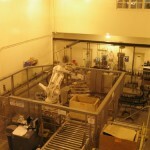 Each machine, called a gyropalette holds 500 bottles on a hydraulic arm. 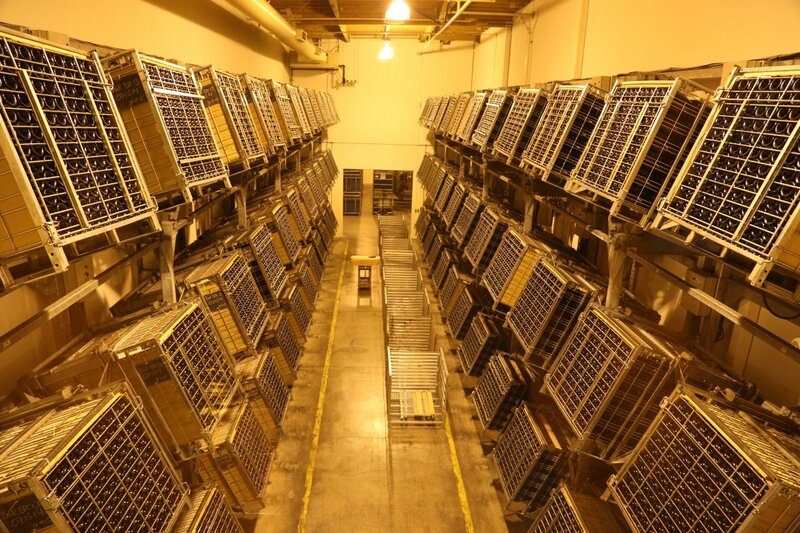 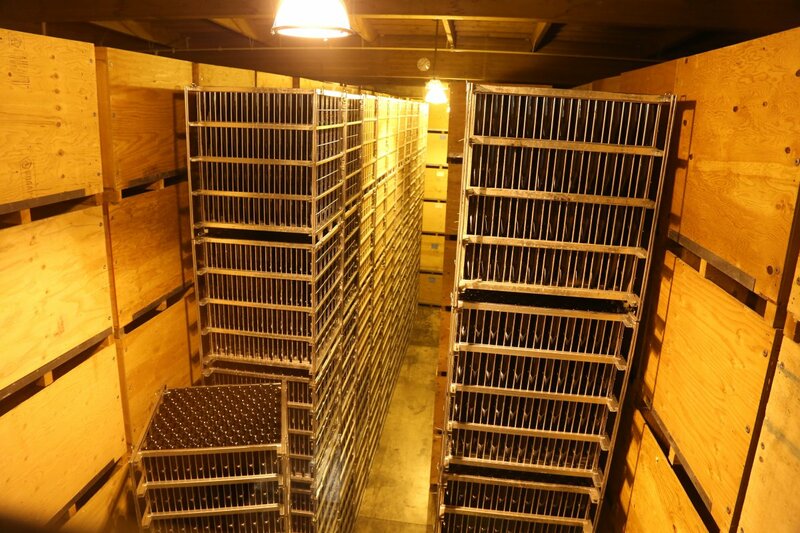 Rather than taking up to 8 weeks to complete the riddling process if done by hand, this machine can complete this task in up to merely 8 days! 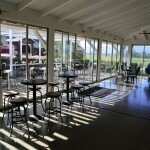 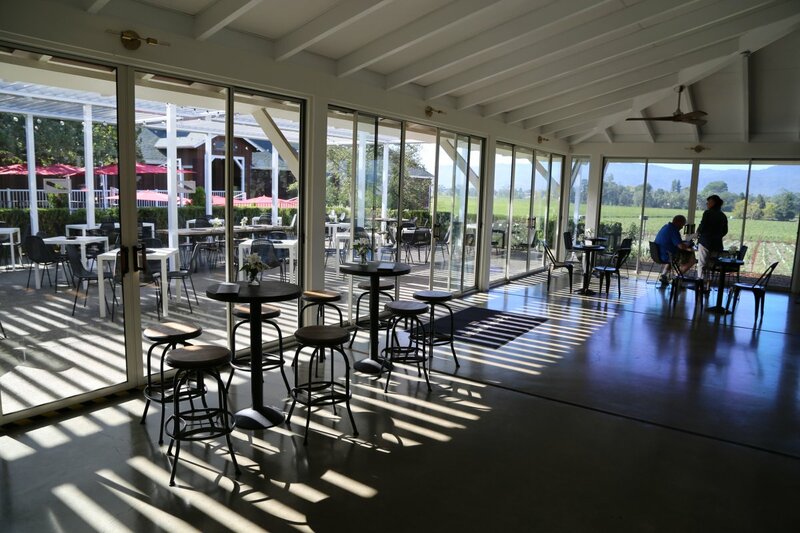 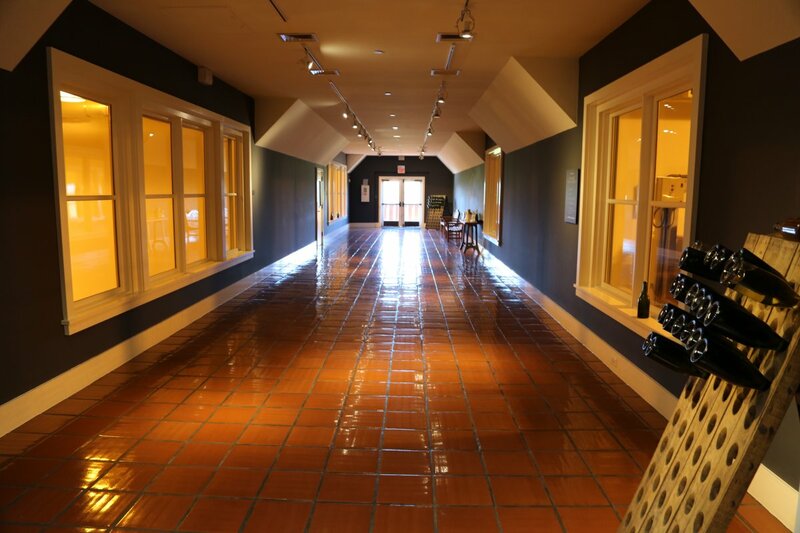 A beautiful indoor tasting salon is surrounded by windows affording one excellent views of the outside vineyards. 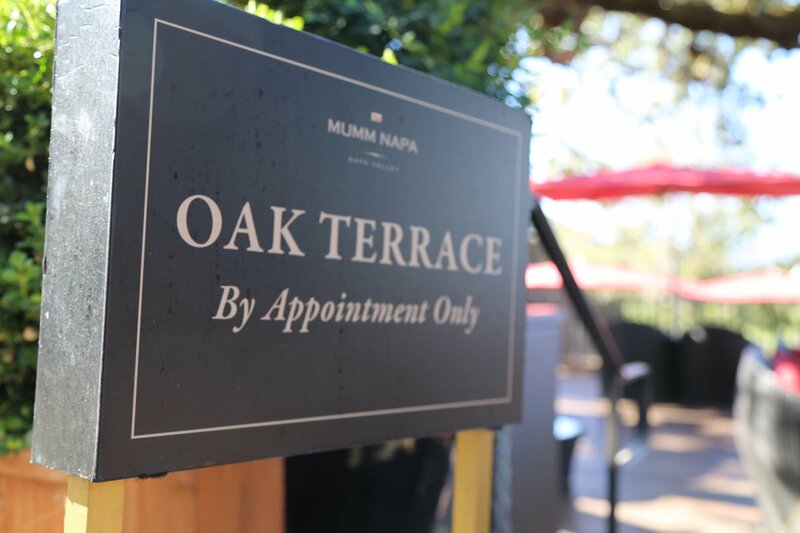 Tables are also setup outside (weather permitting) on their Oak Terrace (centered around a nearly 200 year old impressive oak tree). 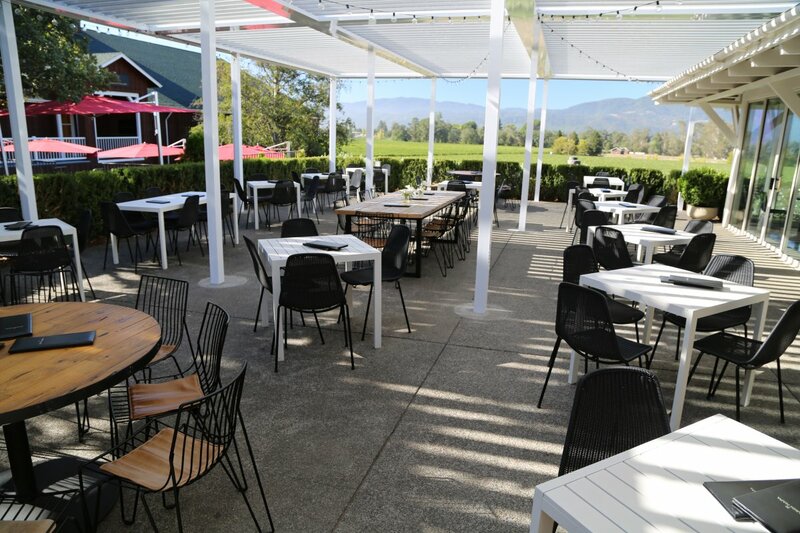 Sit down, wait for your server and choose from several tasting flights ranging from the “Best of the Best” to their slightly sweet “Palate Pleaser”. 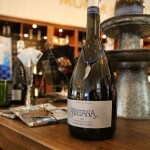 You may also order a plethora of sparkling wines by the glass. 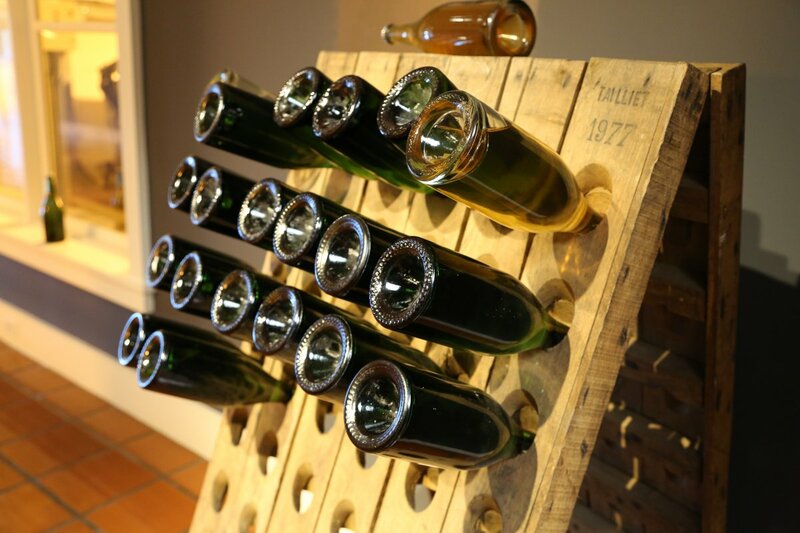 Did you know that Mumm, a popular sparkling house also makes several still wines? These are usually released in the spring and are the same varietals used to make their sparkling wines (Pinot Noir, Chardonnay and Pinot Gris). 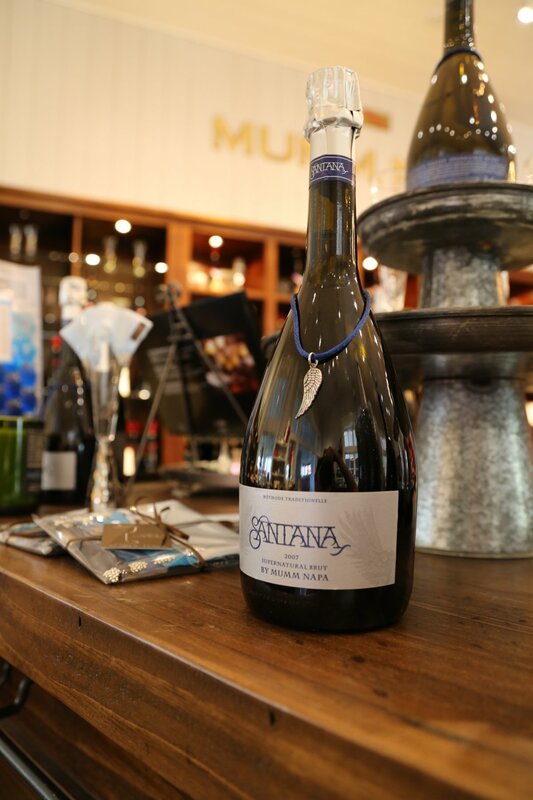 Our favorite of the off dry wines is the Cuvee M Red, a sparkling that captures some delicious fruit flavors. 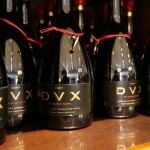 We also tried their 2002 DVX Rose, a wine not in distribution and is only available for purchase at the winery. 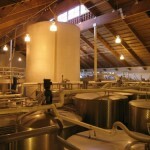 It is slightly pink/orange with aromas of strawberry and lavender and pleasing red and black berry flavors. 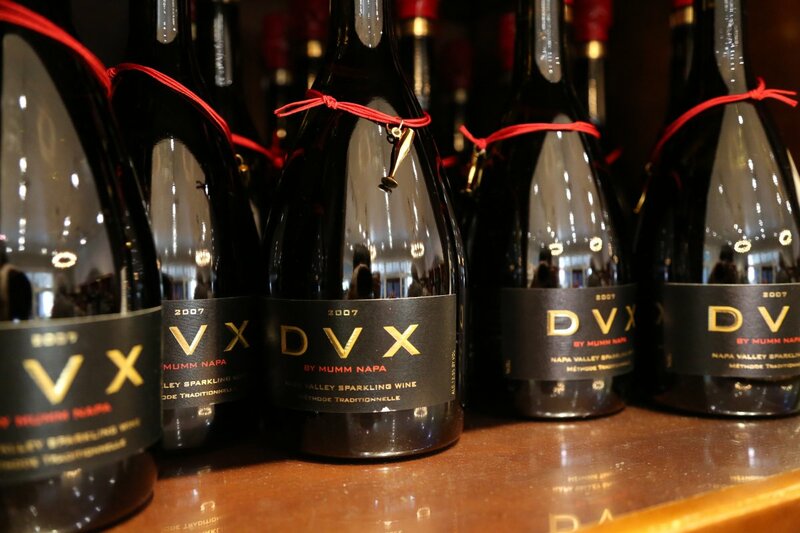 The 2004 DVX was the first California based sparkling wine producer to receive a 94 points from the Wine Spectator. 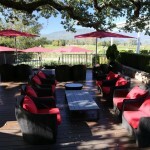 Note the informative wine quotes under the coasters. 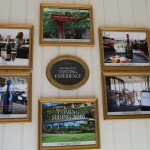 A small gift shop selling wine knick knacks and winery clothing is located adjacent. 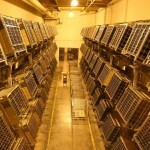 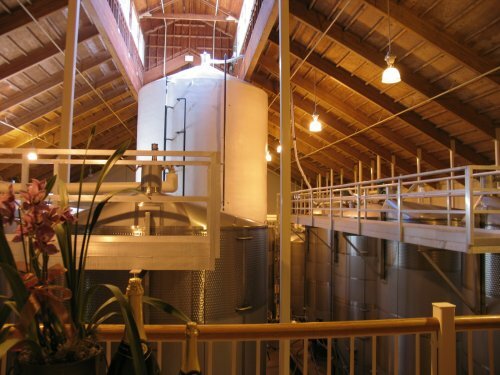 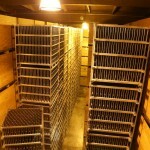 This winery has one aging room that has a capacity of over 1 million bottles! 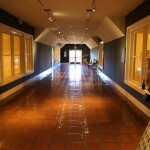 There is a large window overlooking this room from the main are gallery and you look down over a sea of oak barrels. 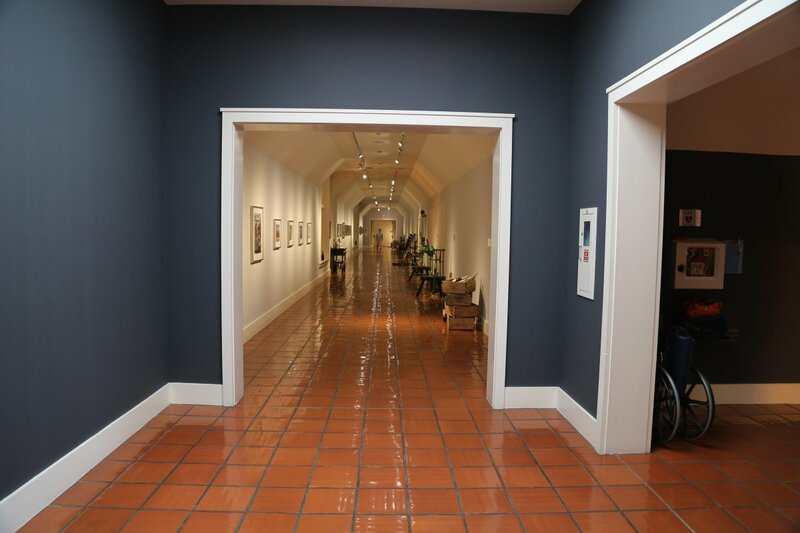 A must see with any visit to this winery is their photo gallery; well-known artists exhibit their art pieces – admission is free of charge to the public. 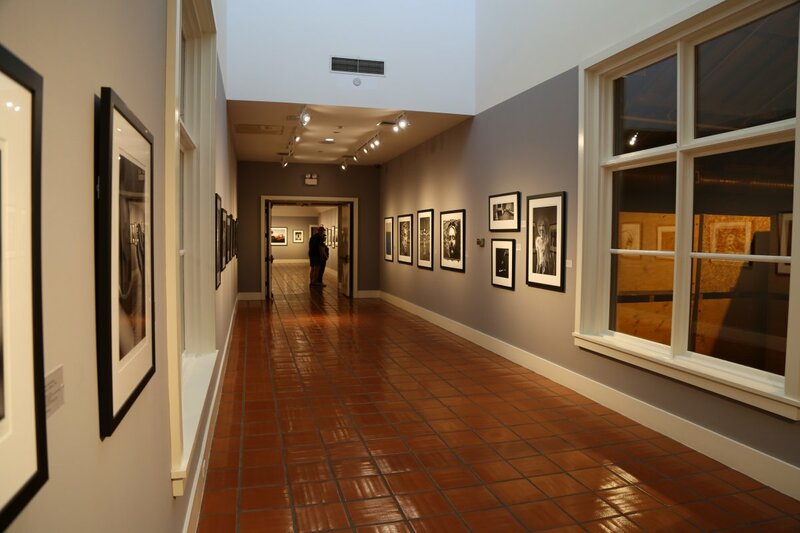 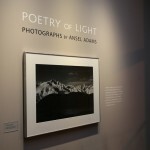 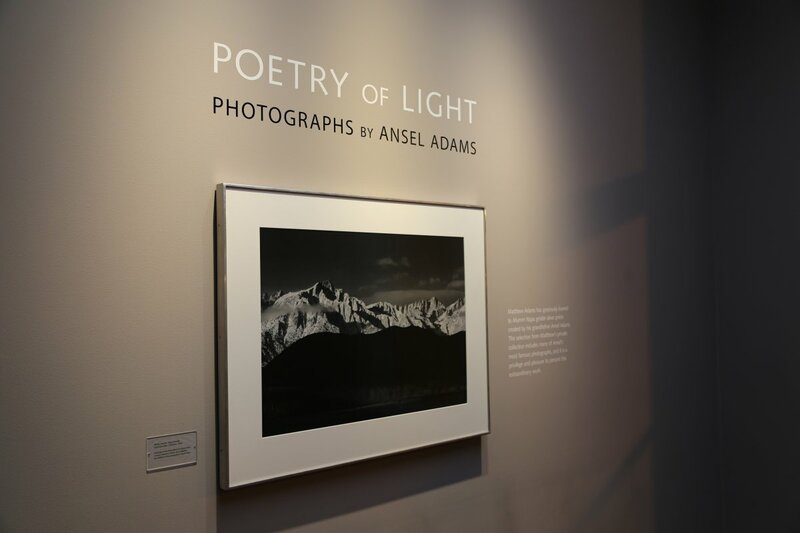 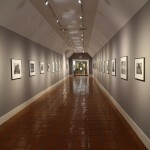 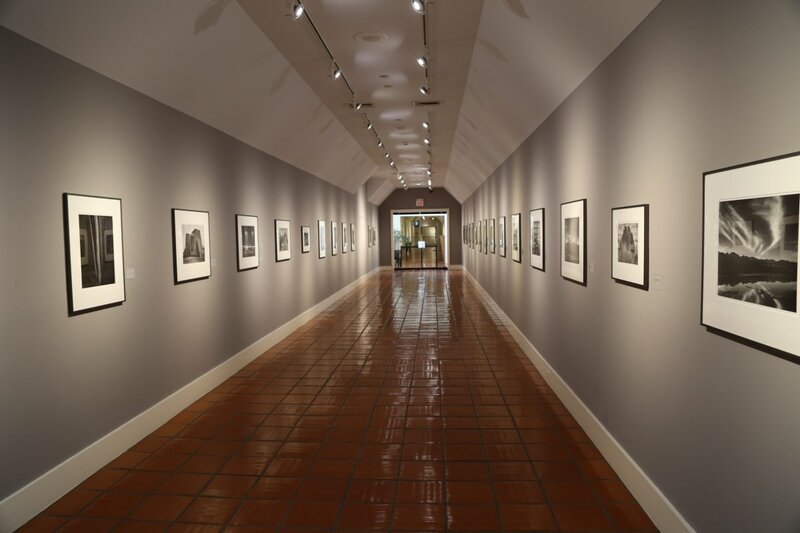 When we visited the exhibit contained original Sierra Nevada mountain photographs by well-known photographers such as Ansel Adams and Galen Rowel. 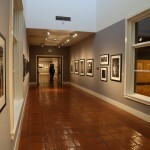 The photos in this gallery topped out in the 20 and 30 thousand dollar range! 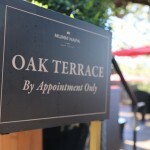 On our last visit to Napa we brought along our dog. 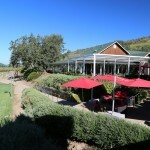 Mumm Winery was very dog-friendly and even provided a water bowl for four-legged visitors.